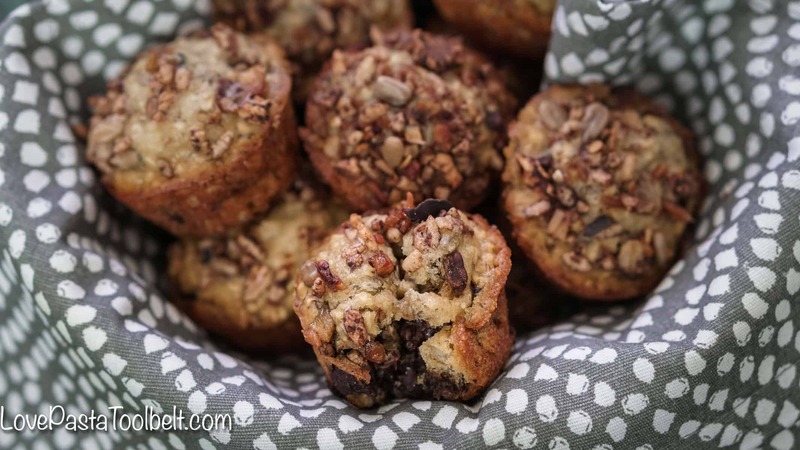 Mix up your boring breakfast routine with these delicious Banana Oat Chocolate Chip Mini Muffins. 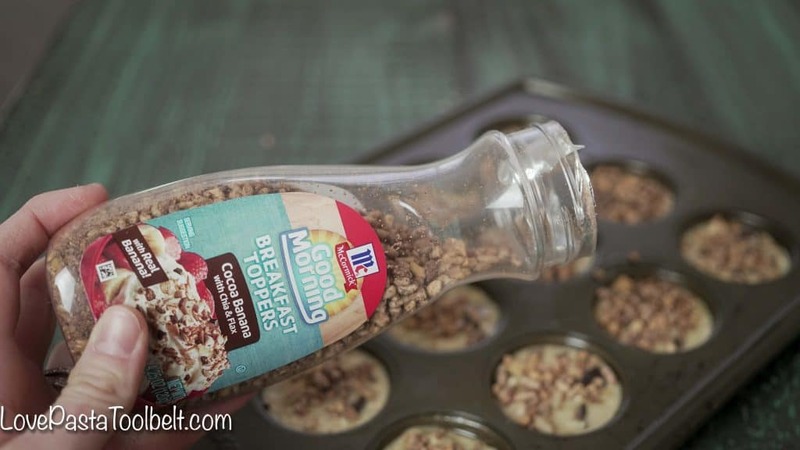 Topped with McCormick Good Morning Breakfast Toppers, they make the perfect easy breakfast recipe or even a great snack, perfect for the whole family. Breakfast is my favorite meal of the day, that’s probably something I have said previously. But I still find myself making the same breakfast every morning for myself and K. Two eggs each, fruit for her and oatmeal for me. I knew it was time for a change in our breakfast routine so I decided to make some muffins! I love making muffins and I’m not sure why I don’t make them for breakfast more often. To remedy that situation, I decided to make these Banana Oat Chocolate Chip Mini Muffins and add some of the McCormick Good Morning Breakfast Toppers to add a little extra yumminess to the muffins. Bananas had to be in my muffins because they are one of K’s favorite foods. I also added chocolate because starting the day with a little chocolate can’t hurt. 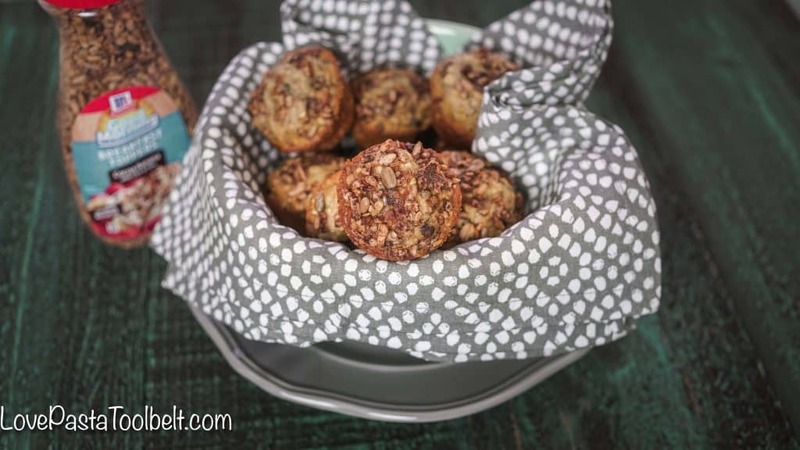 I love how easy muffins can be for getting out the door in a hurry. K isn’t in school yet but there are mornings when we have appointments and are in a rush to get out the door. 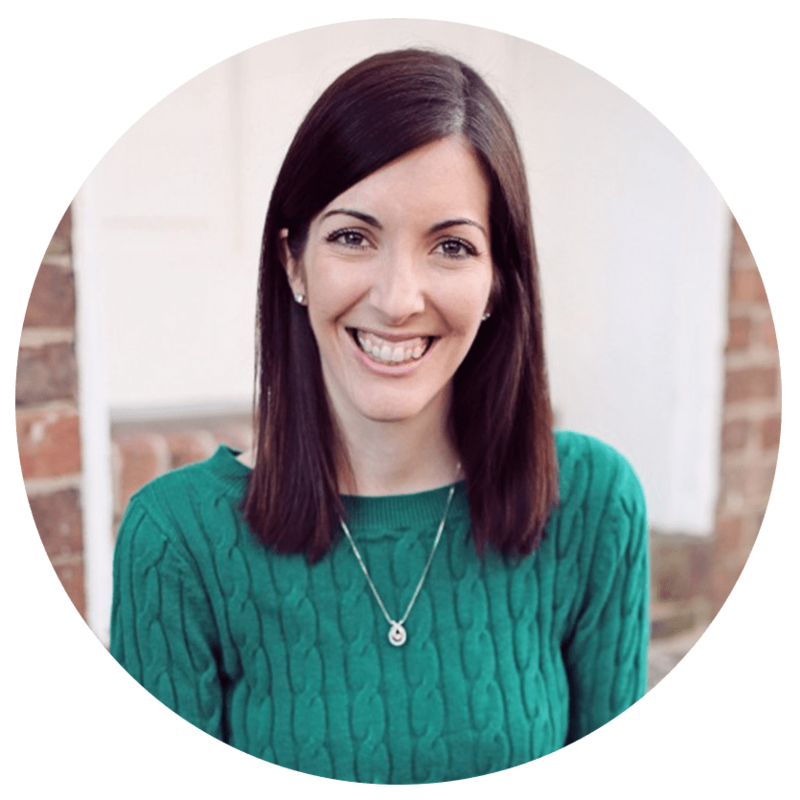 I was a nanny for three years so I know it takes longer to get out the door with kids, but I had kind of forgotten. 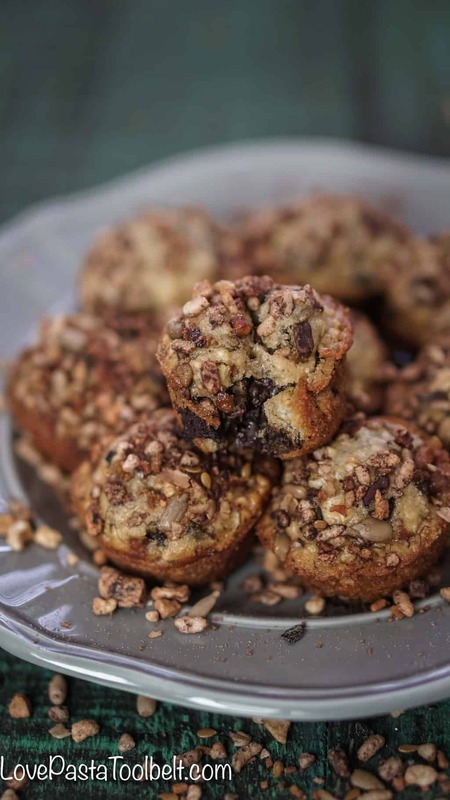 These muffins are the perfect choice because we can grab some and eat them in the car if we’re really running behind. 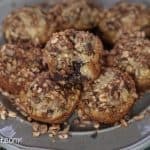 I decided to top these Banana Oat Chocolate Chip Mini Muffins with theMcCormick Good Morning Breakfast Topper in the Cocoa Banana flavor to add a little extra crunch and flavor to the muffins. 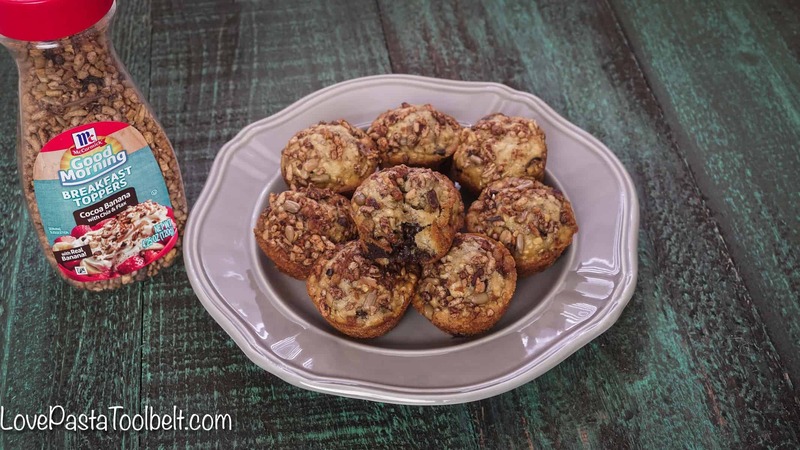 The Cocoa Banana with Chia and Flax breakfast toppers was the perfect flavor to pair with these muffins. 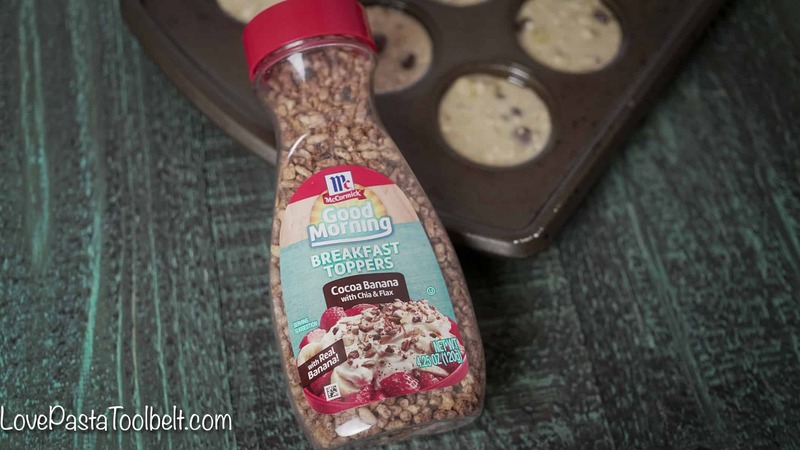 I love that the McCormick Good Morning Breakfast Toppers help mornings include a flavorful, fulfilling breakfast that my family deserves. 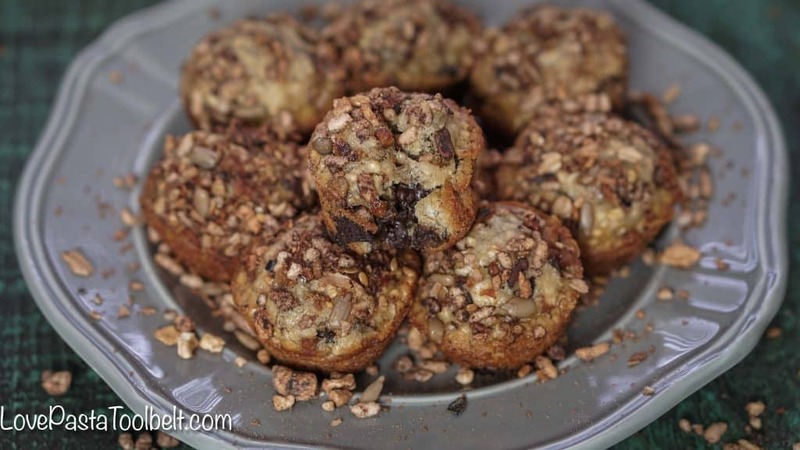 And for a bonus, these muffins are so easy to make! Just whip them up and enjoy them throughout the week. They also make a great snack if you get hungry in the afternoon like K and I do.